Left a month a ago right today ? Left a month a ago right today ? See and Judge for yourself who is right who is wrong ? A great makeup in month ! On this auspicious occasion of Independence Day, I would like to extend congratulations to the Eritrean people and friends, as well as people around the world who cherish the values of justice, freedom, and independence. I also wish to thank the National Holidays Coordinating Committee, all the artists who made due contribution in making this Day indeed momentous, and the active participation of broad sections of the society, especially youths and children. My sincere thanks also go to Brother Omar Beshir and members of his delegation, and through them to the people of Sudan, for their participation so as to give added color to our celebrations. It is gratifying and a cause of pride to note that our freedom and independence has been gaining increased momentum from year to year thanks to the enormous price paid to achieve them at the cost of the lives of about 90 thousand patriots, besides the impressive popular resistance demonstrated. The past 21 years since the achievement of independence were characterized with undeclared state of emergency and open war of aggression against our freedom and sovereignty. Despite the fact that our sovereign territory is confirmed by history, international agreements and sacrifice, as well as indisputable legality, it still remains under occupation due to the complicity of the US Administration and its surrogate i.e. the TPLF regime. The people and Government of Eritrea have been treading the path of development both in spirit and practice without falling prey to the anti-Eritrea military, political, economic and diplomatic campaigns. 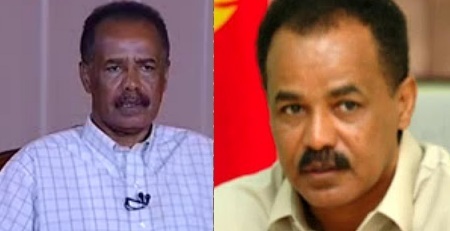 As the Eritrean people’s steadfastness against unjust war continued to gain momentum in the course of the past 15 years, on the one hand, the acts of attacks and conspiracies have been witnessing failure after failure, the worries and acts of hostility on the part of invaders has been on the rise on the other. The EDF members continue to fulfill their defense task while at the same time keeping intact dedication in fulfillment of development programs in a spirit of heroism and without falling victim to the continued acts of conspiracy on the part of invaders. The state of our economy has reached the takeoff stage not because of the ongoing mining actives but due to the nation’s integrated development strategy under implementation in all sectors and different parts of the country with a view to laying reliable groundwork for lasting progress. During the last stage of declared war, it has become ever more apparent that our freedom and independence has not only been dignified but also reinforced and continues to shine brighter with each passing day exclusively through the staunch resistance, perseverance and work spirit of the Eritrean people, and this not through boasting, pretense or self-aggrandizement. Without a shred of doubt, it is not difficult to discern that any acts of subversion will not prevent our forward march. The war declared upon the Eritrean people, is not dissimilar or isolated from other matters of the Horn region of Africa. The past 20 years witnessed a wave of illegal and illicit acts of conspiracies weaved by the Administration in Washington and its cohorts to bring about disintegration of the sovereignty, independence and unity of Somalia, as well as manage the chaos spawned, to plunge Eritrea and Djibouti into a fabricated conflict situation, keeping hostage the peoples of Eritrea and Ethiopia through exposing them to a state of permanent tension, thrusting the people of both Sudans into perennial crisis…in addition to fabricating other problems in order to place the Horn of Africa region under meaningless crisis instead of pursuing their agendas of cooperation, unity and prosperity. On this special occasion, I would like to convey the wishes of the Eritrean people to the people of the Sudan in the North and South that they resolve their problems peacefully, beyond the secondary differences, through direct and constructive dialogue while at the same time avoiding the different destructive interferences by external forces. As always, let us continue our forward march with reinforced resistance against all hostilities, in order to further success in our great pursuit of economic development, growth, and prosperity with added vigor. Honor and Glory to the Eritrean people!